The late great Huell Howser had a corn-pone friendly style of delivery and style that made the ordinary seem spectacular. Case in point' sauerkraut. Sauerkraut is not something I get excited about. I can take it or leave it. There have been some great new sauerkraut renditions being sold at the farmers markets. The sauerkraut I remember was stinky and not very appealing. It was something my father liked. I normally would pass this condiment by until now. Seeing Huell Howser tour the Kruegermamn's sauerkraut plant spiked my curiosity to revisit this old fashioned sour condiment. 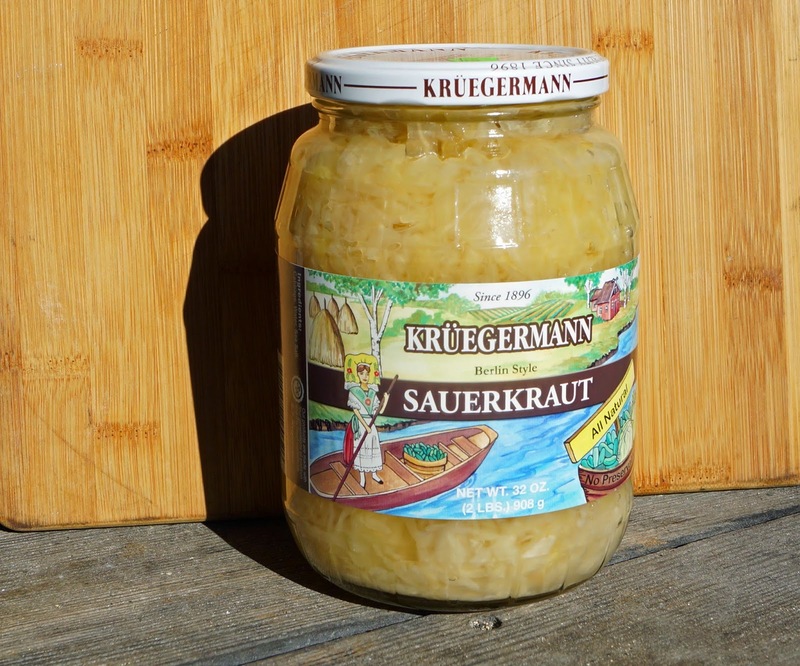 Kruegermann's sauerkraut was found at a roadside produce stand in Northern California. I could not resist. There were no surprises when the top was removed from the jar. It stunk of that familiar fermented cabbage aroma. We, I mean just I because Ms. Goofy wanted no part of this tasting, tried a spoonful. Slightly sour with a slight crunch with a salty type finish was my impression. My opinion of the flavor was neutral. I neither liked it or disliked. Maybe with some sausage this condiment would shine. Sausage, mustard and a freshly baked roll would be the vehicle to eat some more Kruegermamns. I enjoyed it. Did I love it? Well let just say P. T. Barnum was right. "There's a sucker born every minute". I still enjoy watching Huell Howser. 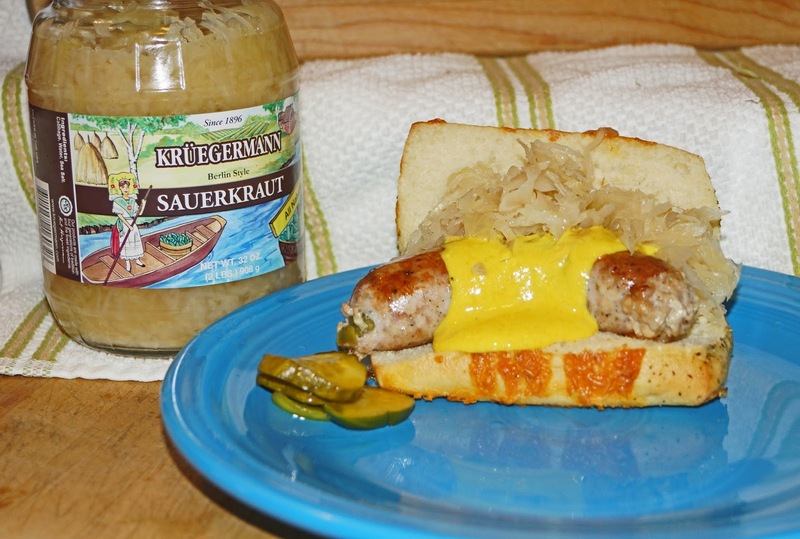 Kraut seems to be one of those you either like it or you don't kind of items. Big Dude, I like the fresher varieties of sauerkraut that have been offered at the farmers market. They have more variety of vegetables and have been flavored. Plain cabbage is okay but not something I crave. I made some of my own once and it was much better than anything I've had from a bottle. In fact, I should get out my jar and make some more since cabbages are everywhere in the market now. Oh, and if you haven't tried braised cabbage, it's quick and good and makes a nice winter side dish. Not sour, though. I agree with Zoomie. 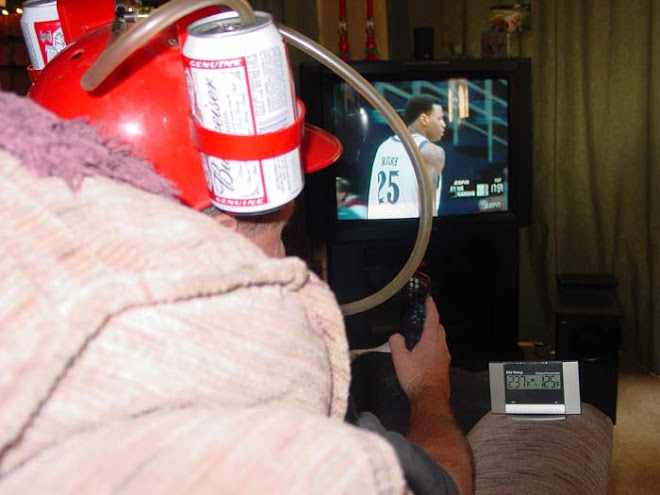 We have a friend that makes his own and it is much better than store bought. Add some sauteed onion and toasted caraway to your kraut. Good stuff. 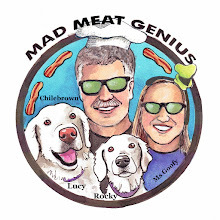 Zoomie & Three Dogs BBQ, a couple of our vendors have fresh cabbage at the market. I was thinking about making my own kimchi. Ms. Goofy will not let me dig a hole in the back yard for the kimchi pot. And fun to see Huell Howser, again, too. I miss that guy!